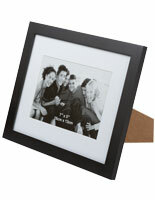 Picture Frames in Black Finish for 5" x 7"
Display your special photographs with these picture frames. 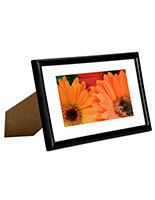 These photo displays, picture frames can accommodate any 5" x 7" or 7" x 9" pictures (after removing the mat). 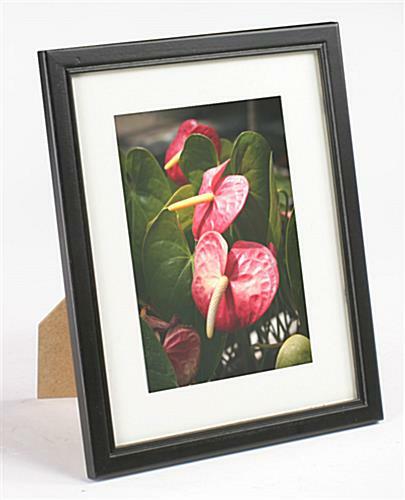 We provide the frames with a glass panel to shelter your priceless pictures from dust and dirt. 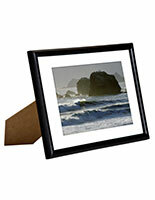 The frames also make an appealing desktop decoration. 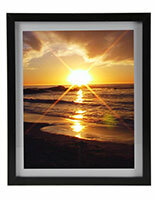 Photo displays, picture frames can be placed vertically or horizontally. 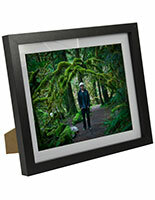 Each frame has an easel backing for a desktop display, and mounting hooks for hanging the frame on a wall. 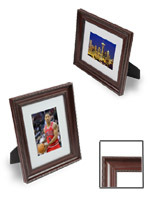 These picture frames, like photo holders and portrait displays, have a contemporary and traditional frame, making them perfect for home or office use. Specially crafted from Poplar wood, these classic picture frames are rugged and can survive for many years without going out of style! 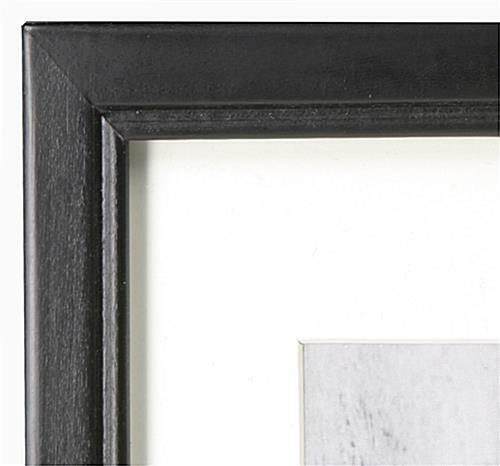 The rich, black finish of these picture frames allows you to showcase any theme pictures. 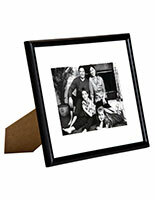 Grouped together with the white mat, these picture frames make your photographs appear professional. 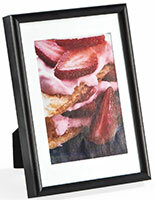 These appealing picture frames are sure to attract attention! 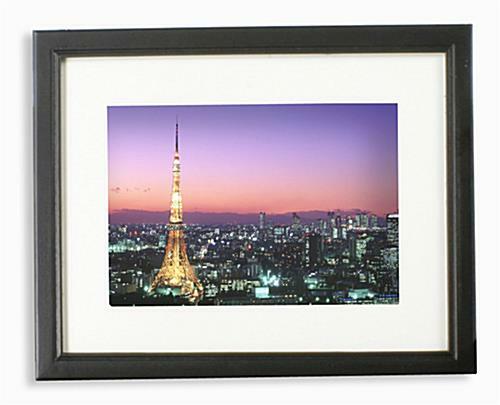 Place the picture frames on a bookshelf, piano top or mantelpiece. 7.9" x 14.5" x 0.375"